Buying or selling a home may be one of life’s most trying experiences. Amazingly, Kristen was able to make my situation comfortable and even enjoyable in some instances. I was selling a home which my husband had built himself and where we had enjoyed over 35 wonderful years. This is a difficult thing to do. 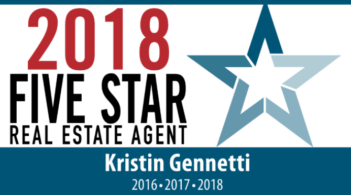 With Kristen’s exceptional knowledge and grasp of the real estate market and its many daily fluctuations, she was able to advise and direct me through this process. By being astutely aware of daily changes, she was able to guide me in the appropriate pricing and marketing of my property which resulted in many offers and a quick sale. I would enthusiastically recommend Kristen to anyone anticipating the sale or purchase of a home. You will not be disappointed.